These one is FIRE. I don’t know that it’s all that realistic because FA Gin is pretty much just juniper flavor and this is FA Gin forward and missing that real boozy liquor taste and botanicals besides just juniper. 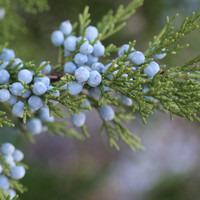 But that berry-citrus-cooling combined with that juniper is just too good to put down. The mixed berry gives it a nice sweet, almost syrupy base for those top notes to play on but it doesn’t stand out and taste like harvest berry calling attention to itself. And then the clean, cool finish. Just lovely. I think the depth of the Sweet Guava is really making this work. Makes me want to see what else could be done with Gin and Sweet Guava.